There are times when a charity really gets a sense of a community supporting the service. For 26 years so many ensure that the classes are available throughout the year. We are so grateful that these happen for over 3,000 women each year. 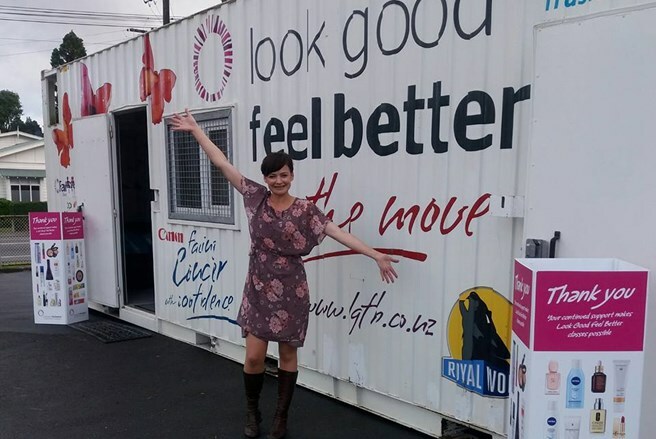 The community of businesses that saw the dream of a pop up workshop in 2016 have come together and offered the opportunity for Look Good Feel Better to hit the road again in 2017. To have the opportunity to go on the move again is a special time for Look Good Feel Better. To have the backing of so many to reach the communities and pop up to share the workshops offered to any person with any cancer is very humbling. The group that are making this happen once again ( Mazda NZ Royal Wolfe, BP, Canon , Farmers Community Sistema, Mitre 10) are so supportive in ensuring this service can spread its wings. It is through their commitment that Look Good Feel Better is on the road once more. Added to the pop up centre is the opportunity for volunteers, and past participants and their families to come and share their story through the generosity of Canon. "The whole thing was absolutely amazing! The tutor and volunteers were great and I really enjoyed the opportunity to connect with other ladies going through the same experience as it can feel very isolating. I was also deeply moved by the generosity from the makeup/skin care suppliers and the volunteers. Thanks for your time and commitment to LGFB, it is much appreciated!" Come say HELLO, SHARE your story with us and enable Look Good Feel Better to continue to spread our wings!